Polishers Inc. - Recreate an Oldie - Polish This! These flowers are gorgeous and I really love the base color :) You photos are stunning right now and they are so much better than old ones. Thank you sweetie! :) I'm so happy to hear you liked this! Love it!!! Love the base color used and the pretty flowery design. Great job and great choice indeed! 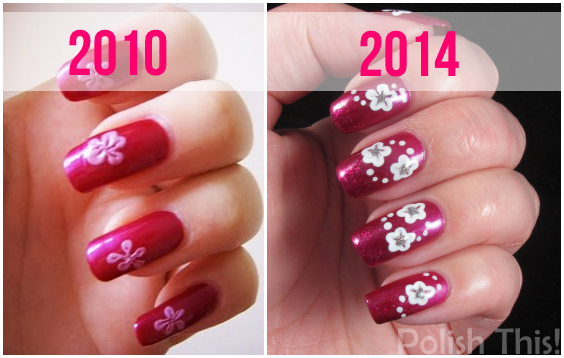 Wow, that is quite and improvement! And that base color is gorgeous! Yeah, it sure is! :) Those two OPIs are certainly beautiful ones!